B-ECO cooperates with PAGANO in the design and deployment of renewable energy plants, such as photovoltaic plants and high efficiency heating and cooling systems. In coherence with common values, we are devoted to paying particular attention to design and architectural integration so to make them comfortable and beneficial for the environment. “Pagano projects are born in conjugation with nature and architecture, Pagano is an international company well known as being builder of wooden houses. Pagano thinks of and feels nature to create houses for human respecting the environment , paying particular attention for details, and combines wood, architecture’s oldest element, to the most advanced materials used in modern constructions. 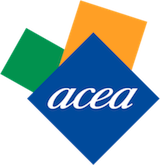 B-ECO collaborates with ACEA RSE on planning, deployment and maintenance of large photovoltaic plants. We take part in developing the Lab-eco projects that, under the aegis of the Professor S. Monaco, is carrying on a small smart off-grid, where it is possible to converge and experiment the last technologies on renewable energy production, and the efficient control of consumptions. Since May 2013 the C.T.O. of B-ECO has held the position of President of Photovoltaic Commission in the Association of Engineers of Rome, acting to promote and coordinate its works. “The photovoltaic is an engineering sector focused on innovation, projecting, deploy and maintenance of photovoltaic plants. Because of climate change and political impulse, this technology is widely growing, in Italy as in the world. 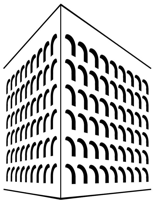 “Intellienergia is a spin-off of high technical-scientific value promoted and participated by Università degli Studi di Roma Tor Vergata housed at the same University’s Science Park. B-eco engineers collaborate with Maggioli Editore with technical contents in several publications in the field of photovoltaic systems.